$795 for Adults. $645 for Children 12 and under. The participation fee is still to be determined. The fee covers local housing during the project, three vegetarian meals a day, ground transportation to and from the airport and project site, local excursions, short-term travel insurance, a Maranatha t-shirt, and luggage tags. Flights, passports, entrance visas, and vaccinations are not included in the participation fee. Maranatha offers at least two family projects each year that provide service opportunities for every member of your family, both young and old. 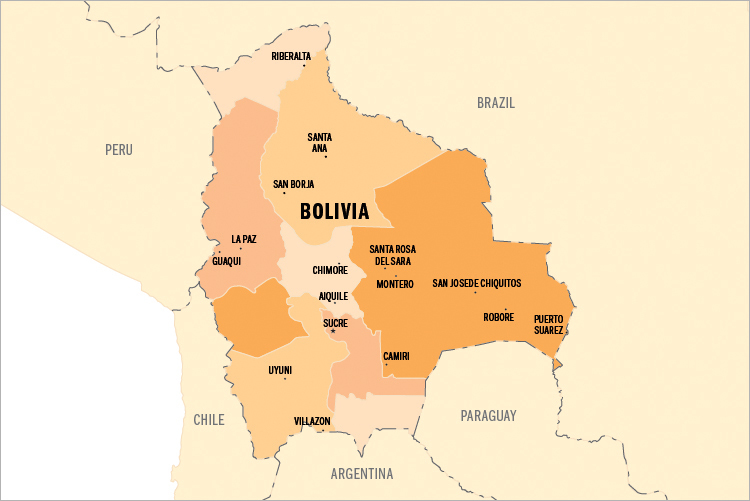 This year, join Maranatha in the country of Bolivia! High in the Andes mountains, volunteers will join together in Cochabamba to experience service together as a family. Volunteers will work to construct a new church as well as complete several painting projects in and around the community. In addition to the painting, volunteers will also join together for outreach programs such as children’s ministry programs. Younger volunteers will have a chance to join the Day Camp during the project to experience different aspects of service and receive insights into daily life in Bolivia! ARRIVALVolunteers will arrive in Bolivia on Thursday, June 21, 2018. Arrival airport and time frame still to be determined.Please wait for confirmation from Maranatha before purchasing your airfare to ensure there is still space on the project. DEPARTUREVolunteers will depart from Bolivia on Sunday, July 1, 2018. Departure airport and time frame still to be determined. During the project, volunteers will stay at the Adventist university in the suburbs of Cochabamba. The dorm rooms where the group will stay are clean and comfortable with 3-4 individual beds plus a private bathroom with hot water. Some rooms may share a bathroom down the hall. Usually one of the beds includes an elevated bed (bunk bed style). We will room families together as much as possible with the dorm rooms we have available to us. Single volunteers will be put with other single volunteers on the project. Expect double to quadruple occupancy rooms. If you want to room with someone in particular, please notify Maranatha at the time of your application. All bedding (including pillows and towels) are provided, although washcloths are not commonly provided in Bolivia. The group will clean their own rooms, but volunteers can turn in their sheets once during the project to be laundered, and can turn in their towels twice. Cochabamba is located at 8,000 feet, so it can be slightly chilly at night. If you know you get cold at night, you might consider bringing another light blanket. The group will meet together in the cafeteria for meals and worships. The university has a clean and safe environment, spacious play areas. and lots of friendly students. In La Paz and Lake Titicaca, the group will stay in double occupancy hotel rooms. Volunteers will purchase their own plane tickets to Bolivia. Maranatha representatives will meet volunteers upon arrival. Please wait for confirmation before purchasing your airfare to ensure that there is enough space on the project. More information including arrival and departure airports and time will be available in an information packet (available for download above). Booking outside these windows could result in additional fees and missed portions of the project. While in Cochabamba, the group will take an afternoon to do some site seeing around Cochabamba. This will include a visit to the Cristo de la Concordia statue as well as an opportunity for souvenir shopping. At the end of the project, volunteers will travel to La Paz and tour the city and the surrounding area. On Saturday, the group will visit Lake Titicaca, take a trip out on the lake, and worship with an Adventist congregation near the lake. On Sunday, volunteers will fly home directly from La Paz. The Family Project Bolivia has ended, please view our Volunteer Opportunities page for upcoming projects.